This is such a cute idea! 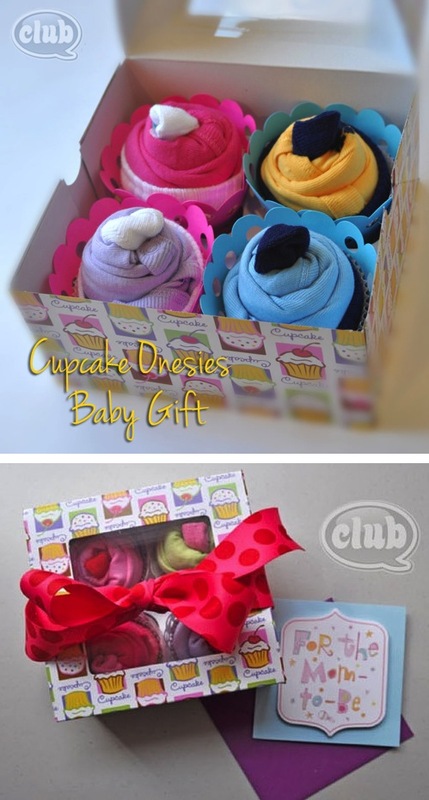 I love that these cupcakes are simply a onesie rolled together with baby socks! So creative! You too can make these for a mommy-t0-be! There is a step-by-step photo tutorial at Club ChicaCircle. Not crafty? You can order a custom cupcake onesies gift from this website as well. Check your local craft stores like Hobby Lobby and Michael’s for plastic cupcake liners and boxes. You can even order these items at Amazon as well.